Article 1 - Uniform Limited Partnership Act. §§ 59-1 through 59-30.1: Repealed by Session Laws 1985 (Regular Session, 1986), c. 989, s. 2. Article 2 - Uniform Partnership Act. § 59-31.  North Carolina Uniform Partnership Act. § 59-32. Definition of terms. § 59-33. Interpretation of knowledge and notice. § 59-34. Rules of construction. § 59-35. Rules for cases not provided for in this Act. § 59-35.1. Filing of documents. § 59-35.2. Filing, service, and copying fees. § 59-37. Rules for determining the existence of a partnership. § 59-39. Partner agent of partnership as to partnership business. § 59-39.1. Act, admission or acknowledgment by partner. § 59-40. Conveyance of real property of the partnership. § 59-41. Partnership bound by admission of partner. § 59-42. Partnership charged with knowledge of or notice to partner. § 59-43. Partnership bound by partner's wrongful act. § 59-44. Partnership bound by partner's breach of trust. § 59-45. Nature of partner's liability in ordinary partnerships and in registered limited liability partnerships. § 59-46. Partner by estoppel. § 59-47. Liability of incoming partner. § 59-48. Rules determining rights and duties of partners. § 59-50. Duty of partners to render information. § 59-51. Partner accountable as a fiduciary. § 59-52. Right to an account. § 59-53. Continuation of partnership beyond fixed term. § 59-54. Extent of property rights of a partner. § 59-55. Nature of a partner's right in specific partnership property. § 59-56. Nature of partner's interest in the partnership. § 59-57. Assignment of partner's interest. § 59-58. Partner's interest subject to charging order. § 59-60. Partnership not terminated by dissolution. § 59-61. Causes of dissolution. § 59-62. Dissolution by decree of court. § 59-63. General effect of dissolution on authority of partner. § 59-64. Right of partner to contribution from copartners after dissolution. § 59-65. Power of partner to bind partnership to third persons after dissolution; publication of notice of dissolution. § 59-66. Effect of dissolution on partner's existing liability. § 59-67. Right to wind up. § 59-68. Rights of partners to application of partnership property. § 59-69. Rights where partnership is dissolved for fraud or misrepresentation. § 59-70. Rules for distribution. § 59-71. Liability of persons continuing the business in certain cases. § 59-72. Rights of retiring partner or estate of deceased partner when the business is continued. § 59-73. Accrual of actions. Article 2A - Conversion and Merger. § 59-73.2: Recodified as § 59-73.20 by Session Laws 2001-387, s. 105(b). § 59-73.3: Recodified as § 59-73.30 by Session Laws 2001-387, s. 105(b). § 59-73.4: Recodified as § 59-73.31 by Session Laws 2001-387, s. 105(b). § 59-73.5: Recodified as § 59-73.32 by Session Laws 2001-387, s. 105(b). § 59-73.6: Recodified as § 59-73.33 by Session Laws 2001-387, s. 105(b). § 59-73.7: Recodified as § 59-35.1 by Session Laws 2001-358, s. 9. § 59-73.8. Reserved for future codification purposes. § 59-73.9. Reserved for future codification purposes. § 59-73.11. Plan of conversion. § 59-73.12. Filing of articles of conversion by converting business entity. § 59-73.13. Effects of conversion. §§ 59-73.14 through 59-73.19. Reserved for future codification purposes. § 59-73.21. Plan of conversion. § 59-73.22. Articles of conversion. § 59-73.23. Effects of conversion. §§ 59-73.24 through 59-73.29. Reserved for future codification purposes. § 59-73.31. Plan of merger. § 59-73.32. Articles of merger. § 59-73.33. Effects of merger. Article 3 - Surviving Partners. § 59-74. Surviving partner to give bond. § 59-75. Effect of failure to give bond. § 59-76. Surviving partner and personal representative to make inventory. § 59-77. When personal representative may take inventory; receiver. § 59-78. Notice to creditors. § 59-79. Debts paid pro rata; liens. § 59-80. Effect of failure to present claim in six months. § 59-81. Procedure for purchase by surviving partner. § 59-82. Surviving partner to account and settle. § 59-84. Settlement otherwise provided for. § 59-84.1. Partnership to comply with Assumed Business Name Act; income taxation. Article 3B - Registered Limited Liability Partnerships. § 59-84.2. Registered limited liability partnerships. § 59-84.3. Name of registered limited liability partnerships. § 59-84.4. Annual report for Secretary of State. § 59-84.5. Report of veteran-owned small businesses and service-disabled veteran-owned small businesses. Article 4 - Business under Assumed Name Regulated. §§ 59-85 through 59-88: Transferred to §§ 66-68 to 66-71 by Session Laws 1951, c. 381, s. 7. § 59-89. Transferred to § 66-72 by Session Laws 1951, c. 381, s. 8. Article 4A - Foreign Limited Liability Partnerships. § 59-90. Law governing foreign limited liability partnership. § 59-91. Statement of foreign registration. § 59-92. Effect of failure to register. § 59-93. Activities not constituting transacting business. § 59-94. Action by Attorney General. §§ 59-95 through 59-100. Reserved for future codification purposes. Article 5 - Revised Uniform Limited Partnership Act. § 59-104: Repealed by Session Laws 2001-358, s. 33. § 59-105. Registered office and registered agent. § 59-106. Records to be kept. § 59-107. Nature of business. § 59-108. Business transactions of partner with the partnership. §§ 59-109 through 59-200. Reserved for future codification purposes. § 59-201. Certificate of limited partnership. § 59-202. Amendment to certificate. § 59-203. Cancellation of certificate. § 59-204. Execution of documents. § 59-205. Execution by judicial act. §§ 59-206.1 through 59-206.2: Repealed by Session Laws 2001-358, s. 10(e), effective January 1, 2002. § 59-207. Liability for false statement in certificate. § 59-209. Certificate of existence. § 59-210. Limited liability limited partnerships. §§ 59-211 through 59-300. Reserved for future codification purposes. § 59-301. Admission of limited partners. § 59-303. Liability to third parties. § 59-304. Person erroneously believing himself limited partner. §§ 59-306 through 59-400. Reserved for future codification purposes. § 59-401. Admission of additional general partners. § 59-402. Events of withdrawal. § 59-403. General powers and liabilities. § 59-404. Contributions by a general partner. §§ 59-406 through 59-500. Reserved for future codification purposes. § 59-501. Form of contribution. § 59-502. Liability for contributions. § 59-503. Sharing income, gain, loss, deduction or credit. § 59-504. Sharing of distributions. §§ 59-505 through 59-600. Reserved for future codification purposes. § 59-602. Withdrawal of general partner. § 59-603. Withdrawal of limited partner. § 59-604. Distribution upon withdrawal. § 59-605. Distribution in kind. § 59-606. Right to distribution. § 59-607. Limitations on distribution. § 59-608. Liability upon return of contribution. §§ 59-609 through 59-700. Reserved for future codification purposes. § 59-701. Nature of partnership interest. § 59-702. Assignment of partnership interest. § 59-703. Rights of creditor. § 59-704. Right of assignee to become limited partner. § 59-705. Power of estate of deceased or incompetent partner. §§ 59-706 through 59-800. Reserved for future codification purposes. § 59-804. Distribution of assets. §§ 59-805 through 59-900. Reserved for future codification purposes. § 59-903. Issuance of registration. § 59-905. Changes and amendments. § 59-906. Cancellation of registration. § 59-907. Transaction of business without registration. § 59-908. Action by Attorney General. § 59-909. Withdrawal of foreign limited partnership by reason of a merger, consolidation, or conversion. §§ 59-910 through 59-1000. Reserved for future codification purposes. § 59-1001. Right of action. § 59-1005. Dismissal of action. §§ 59-1007 through 59-1049. Reserved for future codification purposes. § 59-1051. Plan of conversion. § 59-1052. Filing of certificate of limited partnership. § 59-1053. Effects of conversion. § 59-1054: Recodified as § 59-1070 by Session Laws 2001-387, s. 143. § 59-1055: Recodified as § 59-1071 by Session Laws 2001-387, s. 143. § 59-1056: Recodified as § 59-1072 by Session Laws 2001-387, s. 143. § 59-1057: Recodified as § 59-1073 by Session Laws 2001-387, s. 143. § 59-1058. Reserved for future codification purposes. § 59-1059. Reserved for future codification purposes. § 59-1061. Plan of conversion. § 59-1062. Articles of conversion. § 59-1063. Effects of conversion. §§ 59-1064 through 59-1069. Reserved for future codification purposes. § 59-1071. Plan of merger. § 59-1072. Articles of merger. § 59-1073. Effects of merger. §§ 59-1074 through 59-1100. Reserved for future codification purposes. § 59-1101. Construction and application. § 59-1102. Rules for cases not provided for in this Article. § 59-1104. Effective date and repeal. § 59-1105: Repealed by Session Laws 2001-387, s. 148, effective January 1, 2002. § 59-1106. Filing, service, and copying fees.